Nick’s Bar & Grill has the perfect treat for you! Our famous BBQ pork ribs are hard to resist, and we’ve got the best price for you to enjoy it! 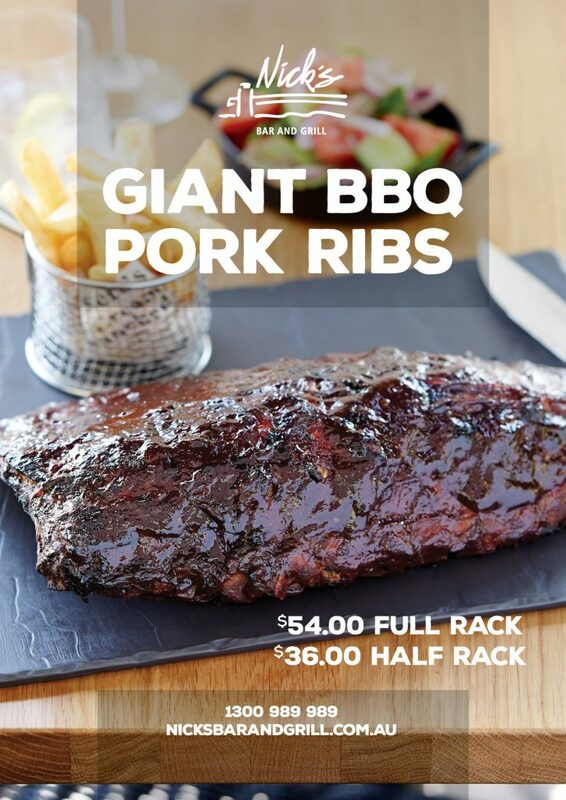 For just $54 you can indulge on these full rack of succulent and juicy Pork Ribs! Or if you’re after something smaller, the half rack is just $36! Don’t forget – the stunning harbour view is free!